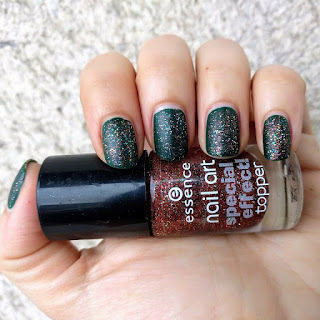 one of my favourite toppers is for sure essence's copper'ize me, from their old special effect topper collection. over the years, this topper became one of my favourites. it goes so well with everything. in a clear base, we have a lot of copper microglitter, together with slightly larger multicolored (blue, green, silver, pink..) glitter. in the bottle. 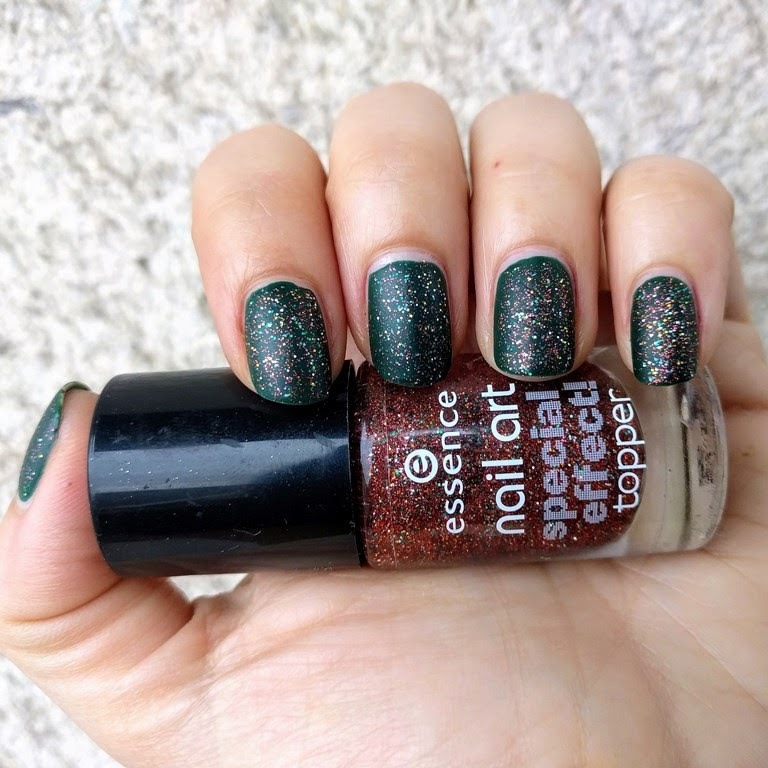 copper seems so dominant, but this topper's versatility is in the fact that it looks different over different base polishes. i am still a fan of matte/suede polishes. 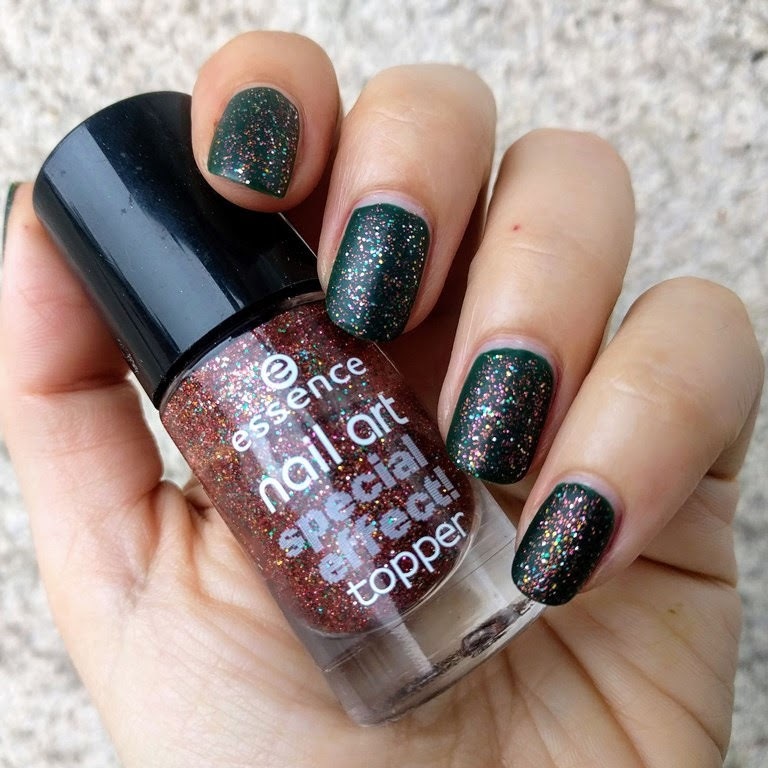 lincoln park after dark was from opi's suede collection back in 2009, but the effect is still great even after such a long time. 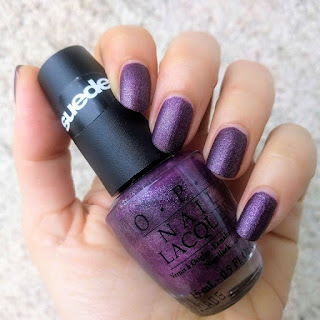 lincoln park after dark suede is a gorgeous, rich eggplant/purple shade packed with shimmer. it dries quickly, becoming this velvety perfection. of course, as every matte, and with not being sealed with a top coat, it chips after a couple of days, so it's not recommended if you are going for longevity.